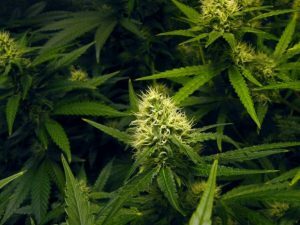 The U.S. Drug Enforcement Administration (DEA) has announced it will not remove marijuana from the list that classifies it as one of the most dangerous drugs, a decision that both mystifies and outrages scientists, doctors, patients, public officials and advocates. These groups argue there is ample evidence to show that marijuana is a medically useful drug (a stipulation of Schedule I narcotics is that there is no accepted medical use) and the federal government is wrong not to recognize those positive attributes. Reclassifying the drug from a Schedule I to a Schedule II would have a profound impact on restrictions and federal penalties. For example, Schedule II drugs have an easier time obtaining federal approval for studies, which ultimately pave the way for doctors to write prescriptions for marijuana and derivative products. It would also allow those drugs to be filled at pharmacies, alongside other Schedule II drugs, such as Adderall. The one bit of good news that was noted by the DEA was that it removed a major roadblock to medical research of the drug by indicating it would allow higher education institutions and some private companies to apply for cultivation rights for scientific research purposes. For years, the University of Mississippi has been the only school with rights to provide the drug for research and scientists have for a long time voiced discontent over the fact the supply of the drug for studies was “grossly inadequate.” That meant research on whether marijuana can be used to effectively treat certain diseases has largely been on hold. DEA leadership insists marijuana has to stay a Schedule I narcotic because it “has no currently accepted medical use in treatment in the U.S.,” use is not safe and there is a high potential for the drug to be abused. Although there is in fact substantial evidence to refute these statements, there was a silver lining in the DEA’s note that because research is the bedrock of science, it will support and promote legitimate marijuana research. It seems as if from the DEA’s standpoint, that is going to be the key to unlocking the doors to reclassification. As it now stands, D.C. and 25 other states allow marijuana to be used to treat a wide range of medical conditions. Unfortunately for a lot of these conditions, the scientific proof of its actual efficacy remains either thin or doesn’t exist – not because it doesn’t work, but because researchers haven’t had the opportunity to adequately study it due to federal government restrictions. There are, however, some reputable studies that do show the drug can be used to address the symptoms of nausea, poor appetite and painful muscle spasms. Despite this, the U.S. Food & Drug Administration (FDA) doesn’t approve of marijuana or any derivative drug to treat these conditions. The new rule will allow marijuana that is cultivated at pre-approved schools and companies will qualify for clinical trial use that will seek approval from federal regulatory agencies. Tagged: Los Angeles marijuana lawyer and marijuana attorney L.A.